On 8 December 2004, the Airbus Helicopters EC155 B1 s/n 6683 flew first with Eurocopter France test-registration F-WWOF. On 8 March 2005, the 2004-built EC155 B1 Dauphin II was registered 4K-AZ45 in Azerbaijan with Silk Way Helicopter Services, Baku, Azerbaijan. SWHS - Silk Way Helicopter Services is part of the Silk Way Holding and based at the Baku - Heydar Aliyev Airport. After the Eurocopter EC155 B1 4K-AZ45 was sold to Heli Holland it was flown out of Baku to Emmer-Compascuum, the Netherlands, for maintenance by Heli Holland Technics. 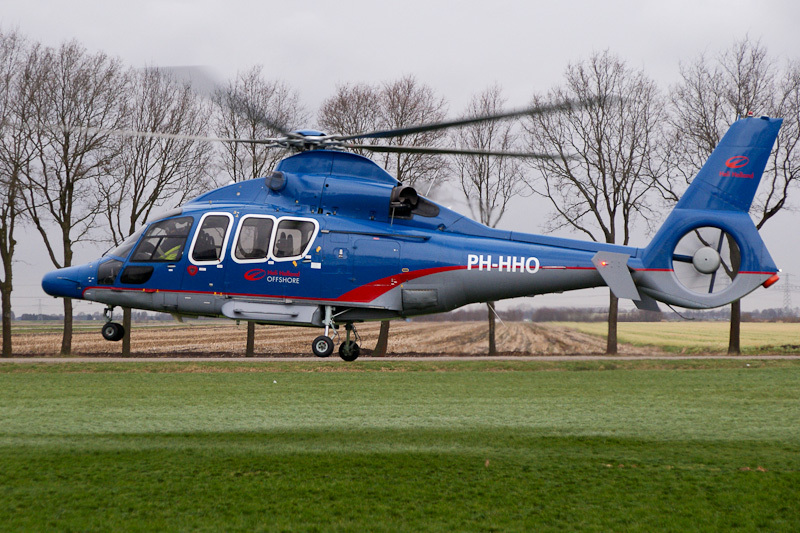 On 19 December 2013, Eurocopter EC155 B1 4K-AZ45 landed at the Heli Holland heliport near Emmen after the delivery flight out of Azerbaijan. On 20 December 2013, the helicopter was registered PH-HHO in the Netherlands, with Heli Holland Aviation Service B.V., Emmer-Compascuum, as holder. On 28 April 2016, NHC - Northern Helicopter, Emden, reserved registration D-HNHN in Germany for the helicopter, but registration D-HNHN was ntu. On 25 November 2016, registration PH-HHO was cancelled and on 29 november 2016, the helicopter was registered D-HNHB in Germany with NHC - Northern Helicopter, Emden.